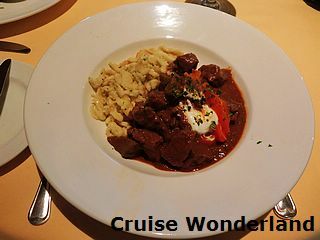 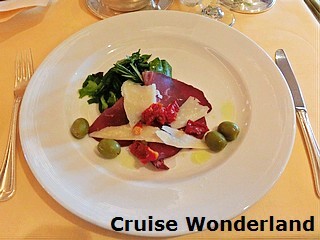 Waiter-served lunch is provided almost every day, including on embarkation day, from 12:00 to 13:30 in Donatello Dining Room at Deck 6 midships. 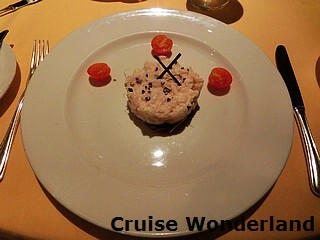 Actual time may vary based on itineraries and port times. 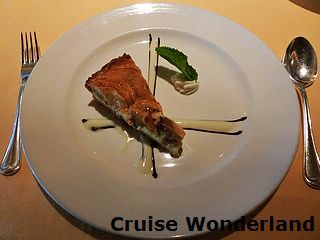 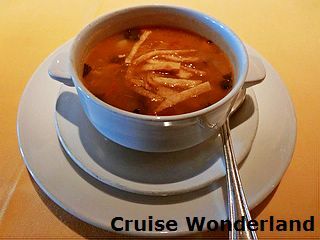 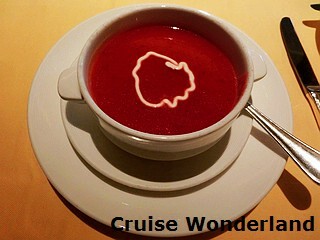 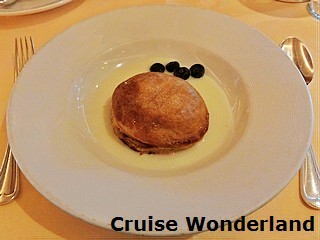 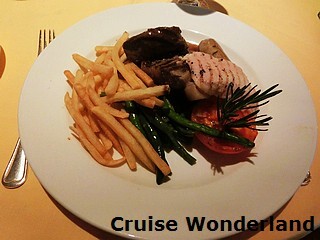 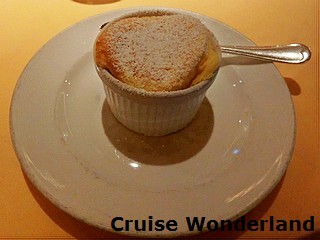 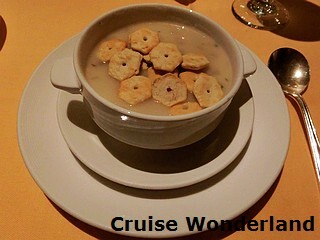 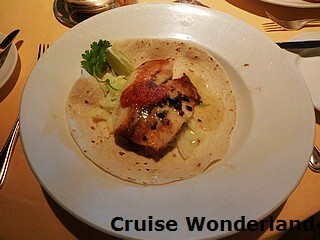 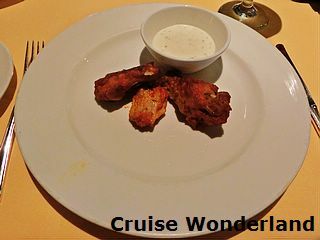 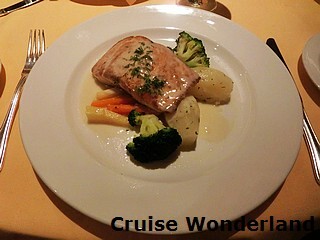 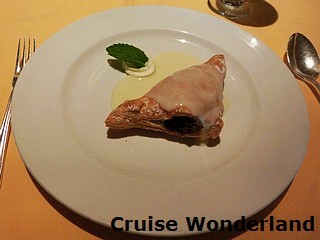 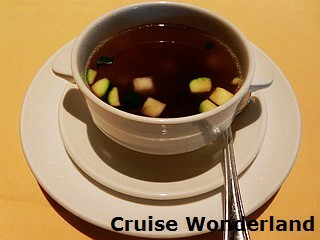 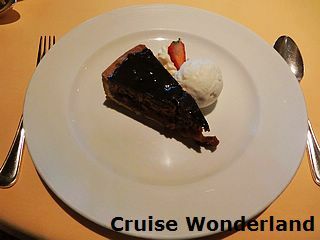 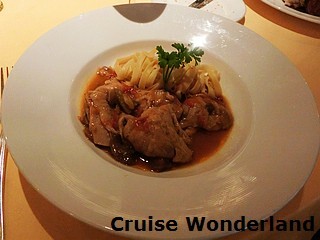 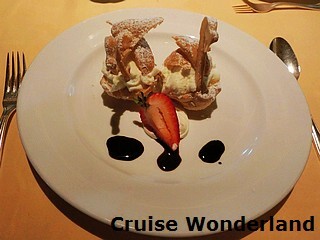 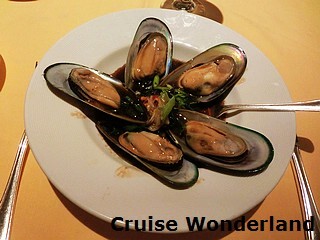 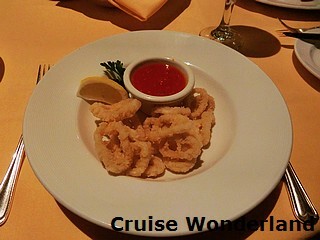 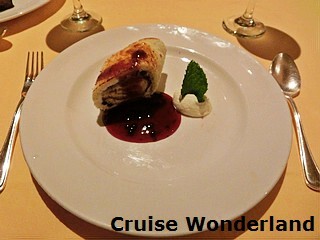 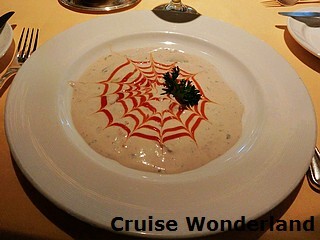 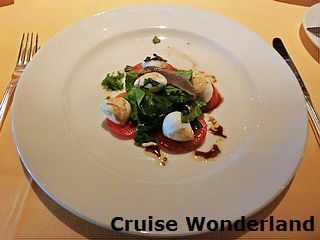 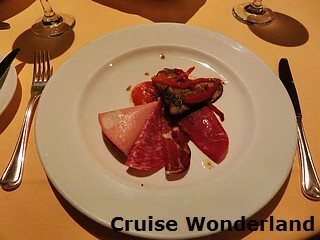 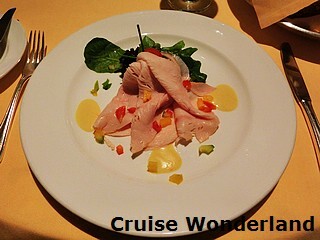 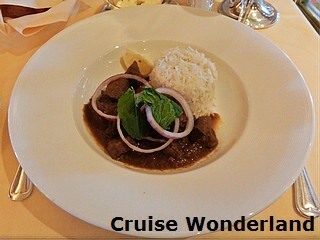 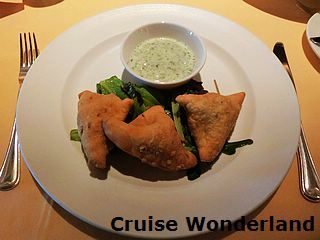 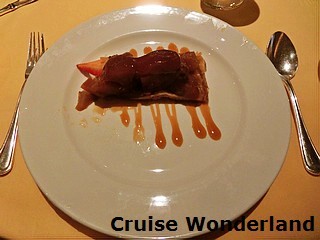 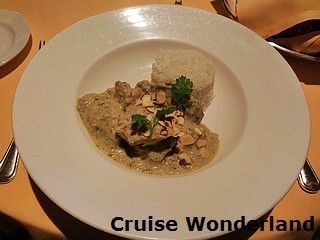 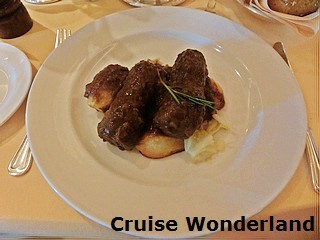 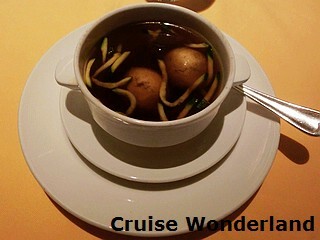 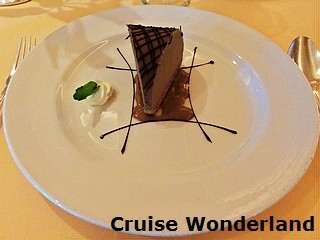 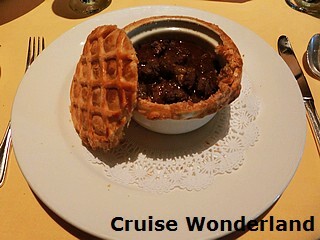 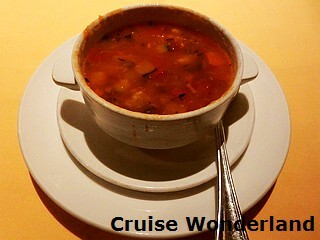 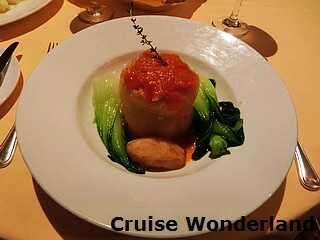 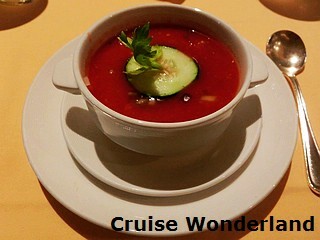 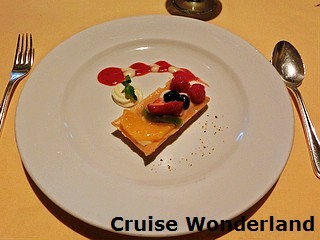 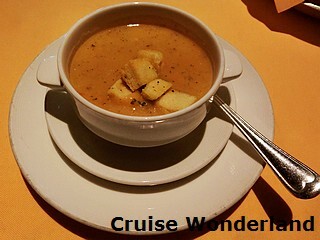 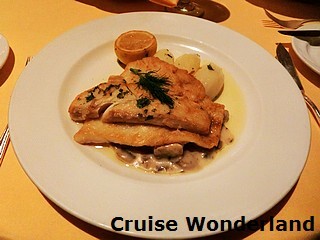 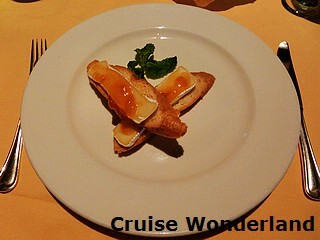 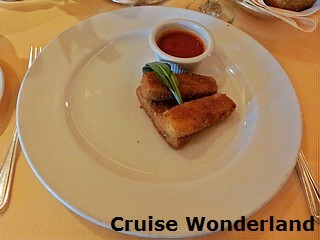 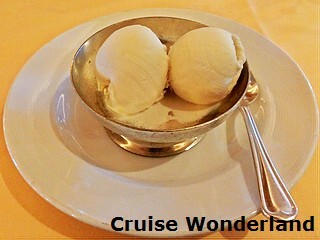 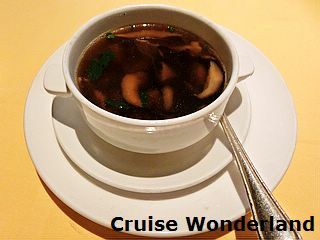 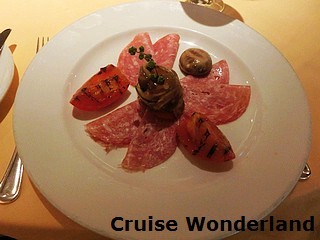 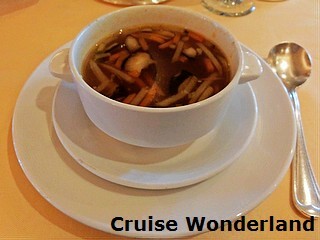 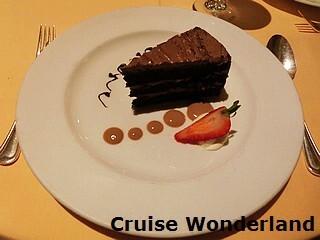 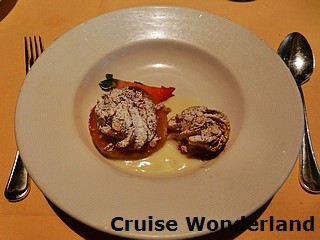 A typical menu consists of appetizers, soups, main courses and desserts, with burgers and pastas as alternative choices. 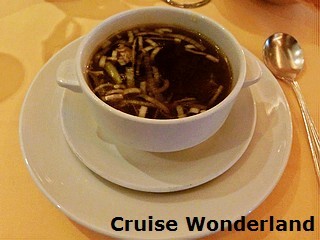 Besides lunch menus, a few breakfast items are also offered for late risers.